Nuherbs® is committed to the sustainability of Traditional Chinese Medicine, Chinese herbs, and your business. That is why the first item under our “Ai Cao Yao” framework is to Assess if the use of an herb is sustainable. The practice of sustainable sourcing is essential because not only does it allows us to live in balance with our natural habitat without causing undue harm, it also translates to the sustainability, success, and longevity of your business. In the assessment process, our number one priority is to preserve the biodiversity of our ecosystems and ensure the longevity of Chinese herbs. 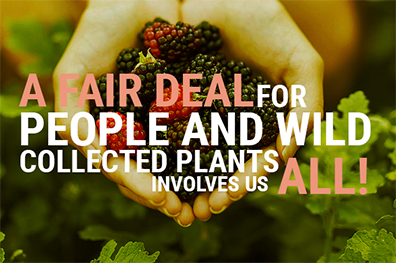 We partner with local farmers and harvesters who also share our values in their agricultural practices. With combined efforts, we aim to protect the herbs from the vulnerability of depletion and extinction inevitable if over-harvesting is allowed. When determining whether or not an herb should be sourced, the first criterion considered is its sustainability. If the use of a particular herb is deemed unsustainable, we will not source or supply it, unless we can make a positive contribution towards the future of its viability. Once the use of an herb is deemed sustainable, our next step is to identify its geo-authentic growing area. Learn more about FairWild’s work to improve conservation, management, and sustainable use of wild plants.